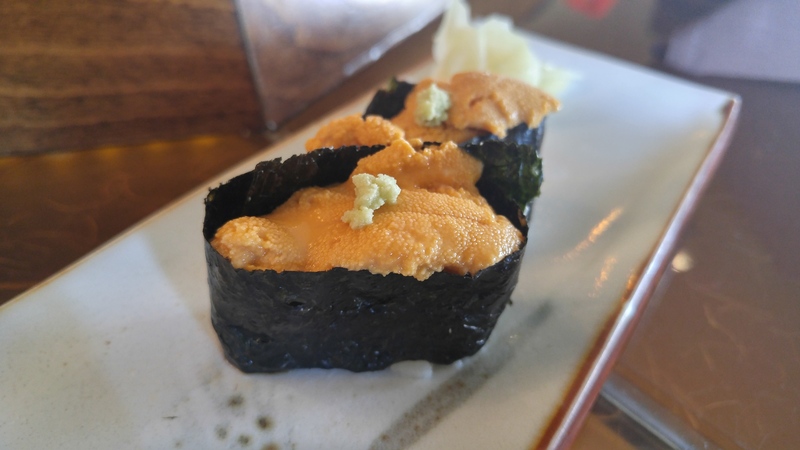 Kanda Sushi in Thousand Oaks provides authentic Japanese sushi but at a cost. Upon entering, you will notice the cleanliness and feng shui design. The sushi bar seats 10-12 people, which is the preferred way to roll for any sushi pros. I ended up ordering the lunch special Kushiage for $11 and an order of uni for $10. 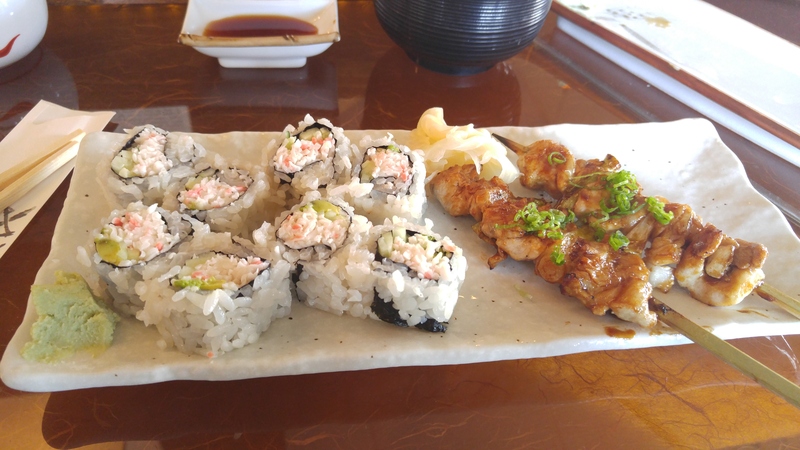 The kushiage combo included miso soup, 6 piece California rolls and 2 BBQ chicken sticks. The California roll was nothing special (given) and the bbq sticks were decent but lacked flavor a regular yakitori stick would have. The uni was good, but they definitely skimped out on the urchin. After spending around $30 for lunch, I felt a little satisfied but wanted a bit more. The quality and selection is there, but the price is about the same as high end sushi restaurants in DTLA that do everything better.